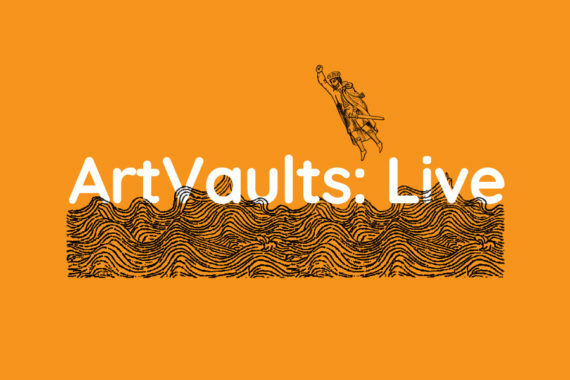 ArtVaults: Live is an exciting programme of free performative art, activities and events hosted within Canute’s Palace, a Historic Medieval Monument located on lower high street within Southampton’s Old Town. Throughout each weekend of September 2018, local artists will make inventive use of this unique location, expressing the heritage of the site through insightful and engaging live art. The collective programme, titled ‘Rara Avis’, celebrates the extraordinarily imaginative way artists bring us together to explore themes of heritage, mythology, capitalism, thing-hood, co-production and masquerade. The event kicks off on Saturday 1st September with the presentation of a temporary public art installation by artist Amanda Moore and a lively performance resurrecting the tale of Mad King Ludwig an eccentric Bavarian monarch.